One of the things we own almost intrinsically is our DNA. Actually, there is some speculation about the legal precedents involved in the situation, but regardless, nothing is more definitively "you" than your DNA. It defines every element of your physical makeup - though fortunately, for all of us, our experiences can still shape who we are as people, but to what extent? How much of our life is defined by our DNA? How much of our identities are defined by our DNA? These are the questions that artist Heather Dewey-Hagborg hopes to explore with her new project, "Stranger Visions", currently on display at the Clocktower Gallery in New York City. The inspiration for the project struck Dewey-Hagborg as she walked the streets of New York. Despite large improvements over the last few decades, New York is still somewhat dirty, the way any big city is, but a large part of this garbage is a product of human usage - and every single time we touch something, we leave some kind of genetic trace material behind. Whether it's chewing gum, a coffee cup, or a stray hair, we leave our most private genetic information almost everywhere in our wake. Dewey-Hagborg decided to see what could be constructed from these remains, and began collected samples all across the city. "It's meant to highlight questions of genetic privacy, and also point to questions of how technology like this might be used in the future," Dewey-Hagborg said in an interview with science news blog LiveScience. "I hope that when a viewer comes into the gallery, they question their own genetic privacy and think about the things that inspired me to do this in the first place." 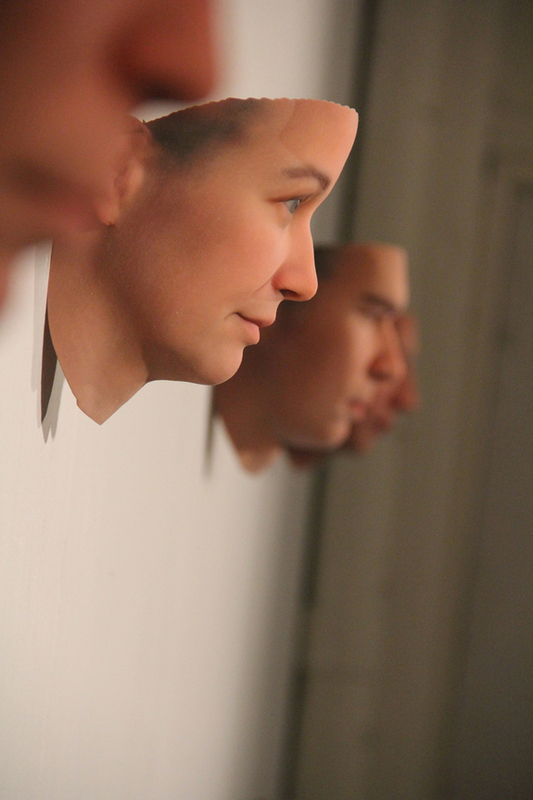 Using genetic sequencing and 3D printing, she has created a series of facial reconstructions that adorn the walls of the gallery space. While it's difficult (or perhaps impossible) to recreate facial morphology perfectly from genetic markers, it's still possible to get a general sense of who these people were. The end result is more of a sketch, despite the realistic expressions that are visible on each face, hence the name of the show. After its stint at the Clocktower, the show will be moving to the Genspace gallery in June, and eventually to Long Island and then on to Mexico City.